Spray a medium skillet with cooking spray. Heat over medium high heat. Cook stirring occasionally, until slightly soft, about 3 minutes. Mix onion, 1/4 cup ketchup, 1 Tbsp mustard, mozzarella cheese, bread crumbs, Parmesan cheese, and egg in a large bowl. Press beef mixture into pan. Combine remaining ketchup and mustard in a small bowl. 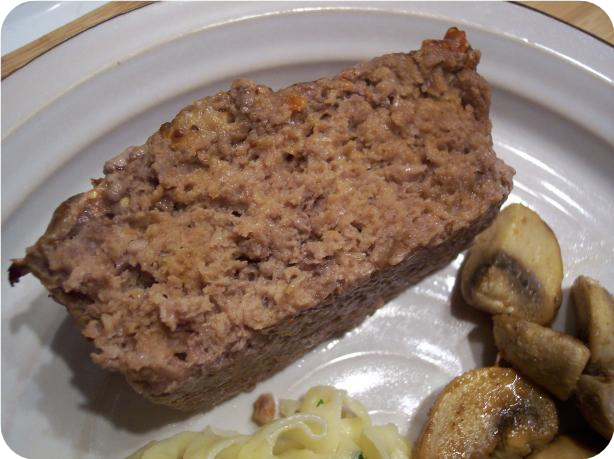 Spread over top of meat loaf. Bake meat loaf until set and cooked through, about 55 minutes.